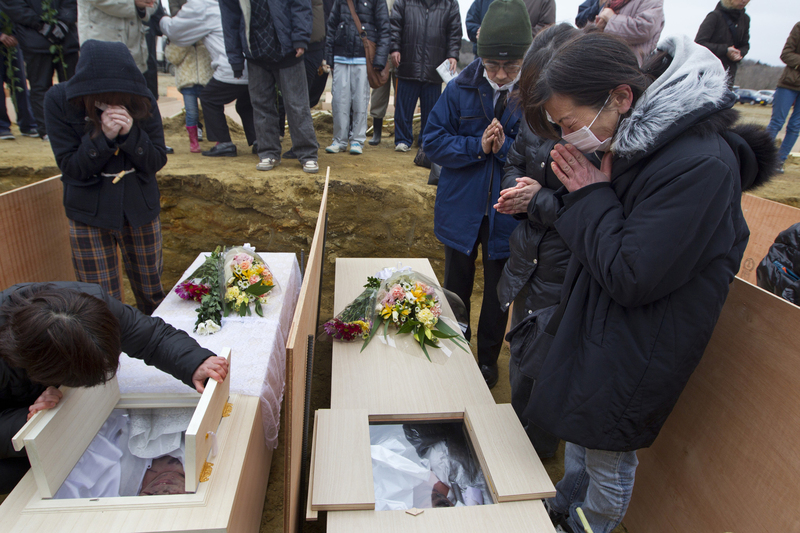 Families and relatives of the dead cry as they identify their family members at a temporary burial ground March 25, 2011 in Higashi Matsushima , Japan. Under Japanese Buddhist practice a cremation is the expected traditional way of dealing with the dead but now with the death toll so high crematoriums are overwhelmed and there is a shortage of fuel to burn them. Local municipalities are forced to dig mass graves as a temporary solution.